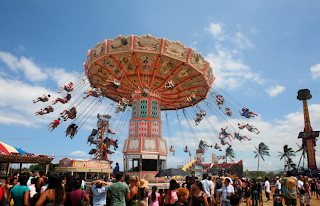 Saturday we ventured out to the Maui County fair, which was actually quite fun. BBQ pork, orchids, art, livestock and best of all ... people watching. Rainbow pigeons. Called scion pigeons... Just how they got to be this color I have no idea. 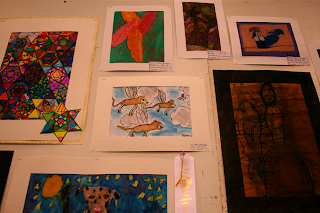 The Flying Monkey's which was awarded 3rd place in the 3rd grade division. 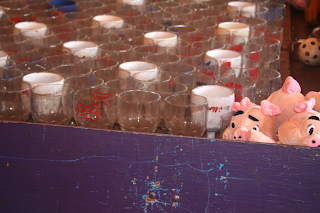 Pig's -n- wine Goblets game. Wow! that must have been really fun! 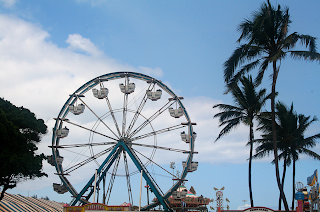 Cotton Candy, Corn dogs and Carnies. Brings back so pretty horrific memories. 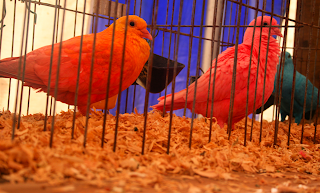 Rainbow colored pigeons are from the Island of Molokai and they are called "Molokai Rainbows."